Napa Valley boasts some of the best wineries in the world. The weather is perfect for growing a variety of grapes, and two of the wineries mentioned on this list were winners in the famous (or infamous if you were French Winemakers at the time) Judgement of Paris tasting of 1976. This list of the best Napa Valley wineries to visit include some of my favorite, in no particular order. At Clos Pegase, wine meets art. Located near the quaint town of Calistoga, CA, Clos Pegase (named after mythologie’s Pegasus) offers guided tours of the winery and grounds at 11:30 a.m. and 2:00 p.m. every day. 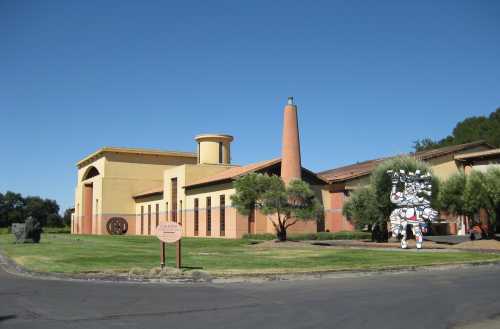 During the tour, you will learn more about the proprietor, the winery buildings and grounds, as well as see various pieces of art throughout the grounds. There are even art pieces in the wine cave, which is included in the tour. These tours are offered free of charge, and reservations are not necessary. In addition to touring the winery, you may sample some of their wines. Their white wine selection includes both Chardonnay and Sauvignon Blanc, while they offer a variety of reds, including Pinot Noir, Merlot, and Cabernet Sauvignon. If you are not in the mood for wine, please do visit anyways. 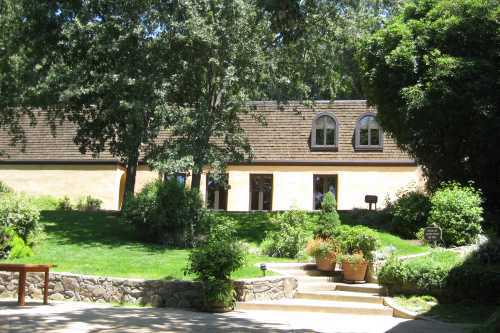 The free tour is wonderful, and is one of the most interesting of all Napa Valley wineries. 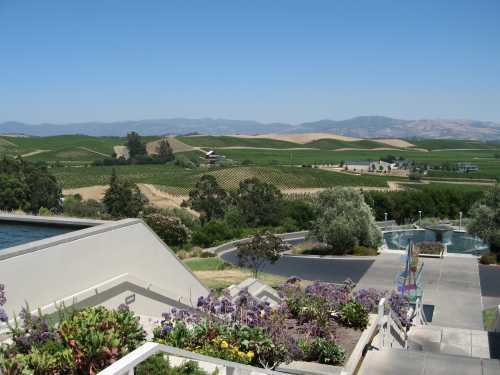 The most interesting aspect of the Artesa winery is, without a doubt, it’s architecture, which places it on the list of best Napa Valley wineries. Located in the Carneros region of the Napa Valley, the avant-guard structure, designed by a renowned Spanish architect, was built into the highest hill of the estate. Water is an integral part of the design, with it flowing through narrow channels, and fountains galore. 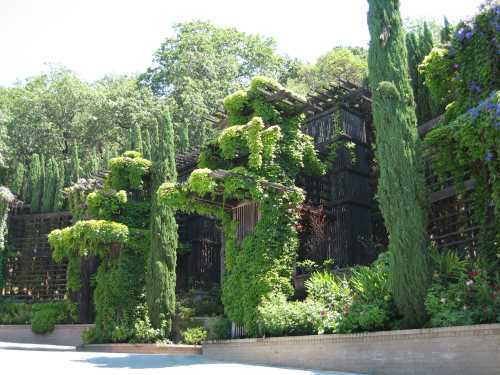 You will be enchanted with the Mediterranean look and feel of this Napa Valley winery and its breathtaking vistas. Located on the Silverado Trail in Yountville, the winery was completed in 2005, and offers world-class blends, in both red and white wine. 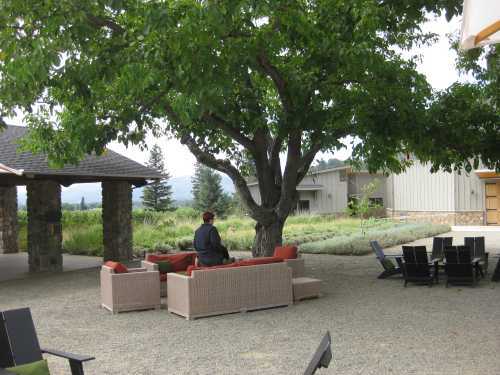 The attraction here, other than their Zinfandel blends, is the wine tasting experience. A terrace located at the back of the main building, offers great intimate seating for small groups, some in the shade of huge trees. The wine is served in Riedel glasses, with cheese and crackers, and the atmosphere is very relaxed and joyful. Paraduxx asks for reservations in advance, but is definitely worth a visit if you plan on being on the Silverado trail. Another Silverado Trail winery, located in the Stag’s Leap district, Pine Ridge offers a variety of wines that any wine connoisseur would enjoy. That being said, the Winery and Cave tours are a must. For $25 per person – reservations required – you will visit the grounds and the wine cave, while enjoying quite a few different wines. I think we had a total of 8 glasses (because I couldn’t actually call these just samples) when we had the tour. The cave is amazing, and the experience of tasting wines underground was enchanting. It’s definitely one of the most interesting wine tours from this list of best Napa Valley wineries. 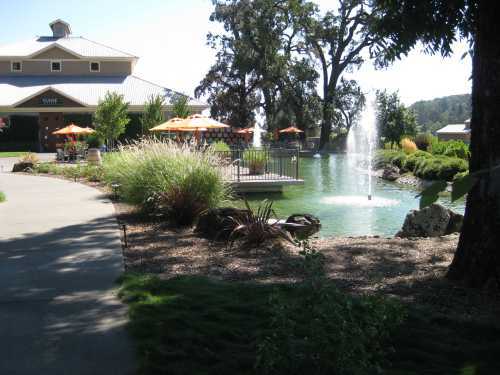 If you have never been to Napa… or even if you have… you will enjoy the view from this Napa Valley winery. Located at the top of a pretty big hill, the only way to get to the winery is by gondola. From the parking lot, you buy your ticket (the price of which depends on the wine tasting experience you choose along with the visit), and then up you go! 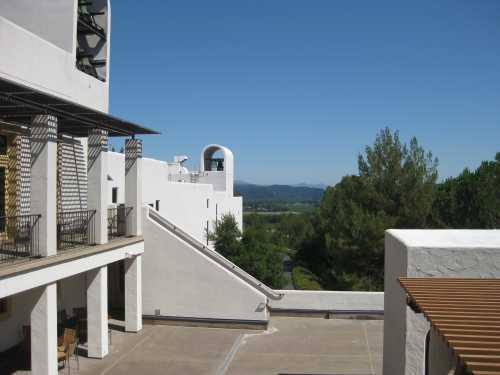 The gondola ride itself allows you to see many interesting aspects of the grounds, while the terrace atop the hill will give you amazing views of Napa Valley. The self-guided tour also instructs you on the wine making process, and ends in the tasting room. You’ll need to plan at least an hour to visit this winery, but it’s worth the time as the views top the list of best Napa Valley wineries. The real reason to visit this winery is the WINE!!! Winner of the 1976 “Judgement of Paris” Cabernet tasting, this winery offers some of the best Cabernet Sauvignons in Napa Valley. If you are a Cab lover, do not visit this winery and chicken out by ordering the $15 “Napa Valley Collection Tasting Flight”, which I’m sure is really good… but that is NOT why you come here. You absolutely must try their $30 “Estate Collection Tasting Flight” which includes a tasting of very, very good Cabs, including my all-time favorite Cask 23 Cabernet Sauvignon. They also have a Cave Tour, but I can’t say much about it, not having done the tour. I’m sure it’s great. But the wine… oh, the wine! Of course, Stag’s Leap Wine Cellars is located on the Silverado Trail, in the Stag’s Leap District, and is a must on anyone’s list of best Napa Valley wineries. Note: Do not confuse Stag’s Leap Wine Cellars with Stags’ Leap Winery, because they are not the same winery. I haven’t been to the latter, so I can’t really comment on it. Make sure you are careful about where the apostrophe is! 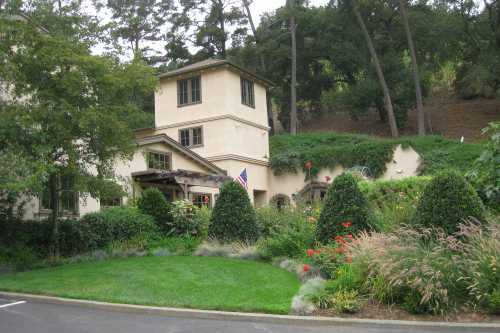 Another Napa Valley winery located on the Silverado Trail, Rutherford Hill has pioneered the development of Merlot in California. When visiting this winery, do not forgo the Cave Tour. At a cost of $25 per person, the tour, which includes the tasting, will allow you to visit the intricate cave system where Rutherford Hill wines are stored while fermenting in French and American Oak barrels. The cave tour is probably one of the best Napa Valley wineries have to offer. These tours are available daily, at 11:30 am, 1:30 pm, and 3:30 pm. The staff is friendly and knowledgeable, the wine is good, and the tour is very interesting. Founded by Champagne Taittinger, Domaine Carneros – located in the Carneros region of the Napa Valley – is considered to be a regional landmark. The main Chateau, along with it’s terrace, offers visitors beautiful views of the region. On a beautiful day, nothing is better than sitting on the terrace, while sipping some sparkling wine. You may also choose to indulge in a variety of offerings, such as cheese platters, charcuterie plates, pastry plates, or even caviar and smoked salmon. A truly great experience. Driving up to this winery, I was doubtful as to why they had named it “Chateau” Montelena. 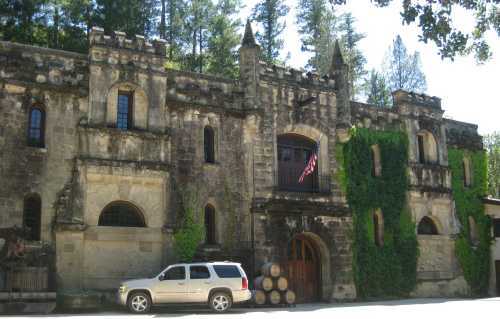 As we parked the car and headed up the stairs to the winery, I finally saw the beautiful old stone Chateau, and understood. Located at the base of Mount Saint Helena, a few miles north of the town of Calistoga, Chateau Montelena’s 1973 Chardonnay was the top-ranking white wine at the 1976 “Judgement of Paris”. 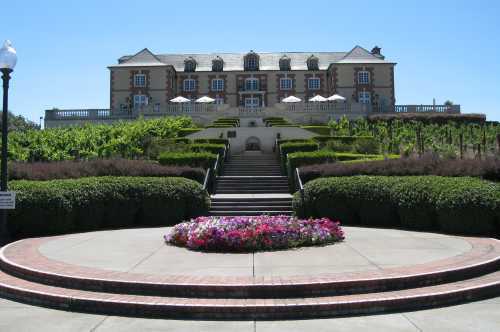 In addition to their Chardonnay, Chateau Montelena offers Rieslings, Cabernet Sauvignons, and Zinfandels. The stone Castle overlooks a Chinese garden, boasting a lake with bridges and paths. You can even see some small turtles wading around in the water. Located on Sonoma Hwy, in Kenwood, California, this winery makes the list even though it’s not actually a Napa Valley winery. Sonoma is just over the mountain, and this winery needs to be visited. The winery is enchanting. The grounds are beautiful and serene, and the wine is excellent. Two different tasting options are given to you. A $10 per person tasting of their Destination Series, held at the wine bar, or a more intimate and upscale $20 per person tasting of their Grand Estate selections, located in the “Kinneybrook room” with luxurious leather sofas and alabaster chandeliers. This is the tasting that everyone should choose.